On a crisp winter's morning, when wispy, leafless trees fracture sunlight onto the park's lake, Rooms On Regent's Park is at its most beautiful. The soothing, serene atmosphere of the nearby park, a place of meandering footsteps and quietly quacking ducks, imbues this venue with a sense of being quite outside London, far away from the manic rush of the inner-city hustle and bustle. The building itself emulates the atmosphere of the park, with its own gardens that are beautifully kept, with sheltering oaks bordering the gates. This freshness also spreads inside, with innovative pyramid light-features that funnel daylight through multiple levels of the venue's numerous conference and meeting spaces. Whether you're outside or in, the fresh outdoors always feels close. But come Christmas time, when mist blankets the ground and snow beckons, Rooms On Regent's Park will be more magical than ever. 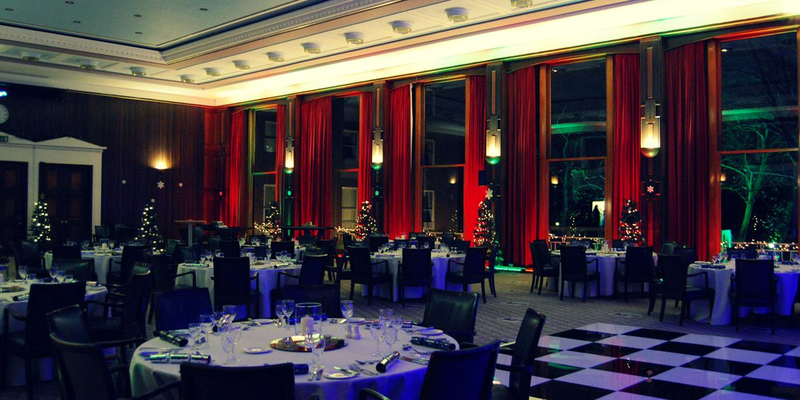 Nuffield Hall is a magnificent space, and with wood-panelled walls, gold-framed paintings, and a 218 dining capacity, it's the venue's premiere spot for a Christmas party. This year the theme is 'Gatsby', and guests will be taken up the steps to this glamorous hall with the aid of a secret password, and spoilt with the pomp and panache of a Prohibition-era blow-out. Art-Deco decadence will combine with Great Gatsby glamour, while guests can look out through the floor-to-ceiling windows that offer views of Regent's Park. 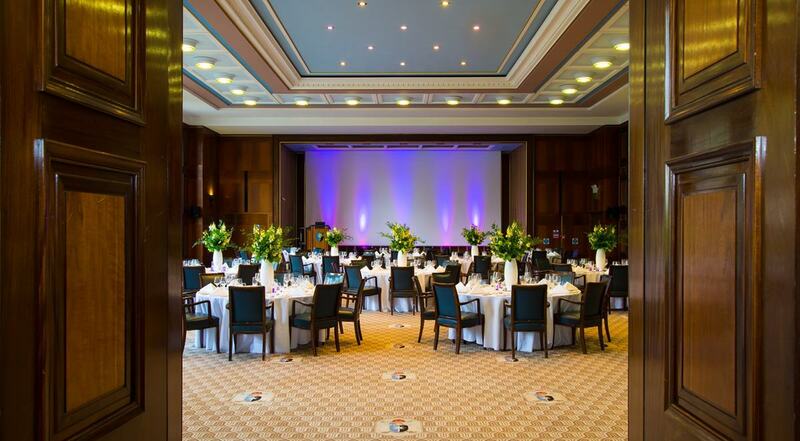 It's true that Rooms On Regent's Park is a stunning venue at any time of year. But come December, this is the place to be.